Oppo is going to hold an event on April 5th in which new smartphone for the Indian market is expected to be launched. The new handsets that are going to be revealed are R9 and R9 Plus. It is not whether both the devices are likely to be launched. Mumbai: Oppo R9 comes with 5.5 inch touchscreen display and with resolution of 1080 x 1920 pixels. Body dimensions are 151.8 x 74.3 x 6.6 mm and it weighs 145 grams. It is powered by octa core MediaTek processor whose clock speed is 2 GHz. The processor is paired with 4 GB RAM and it is provided with 64 GB internal storage. Memory can be expanded up to 128 GB via micro SD. It comes equipped with 13 megapixel camera at rear and there is also 16 megapixel camera at front. It comes out of the box with Android 5.1 Lollipop operating system. Other symptoms are dual SIM and 3.5 mm headphones. It supports Bluetooth, 3G and 4G connectivity. There are proximity, ambient light, gyroscope and accelerometer sensors. Battery under the hood is 2850 mAh capacity. 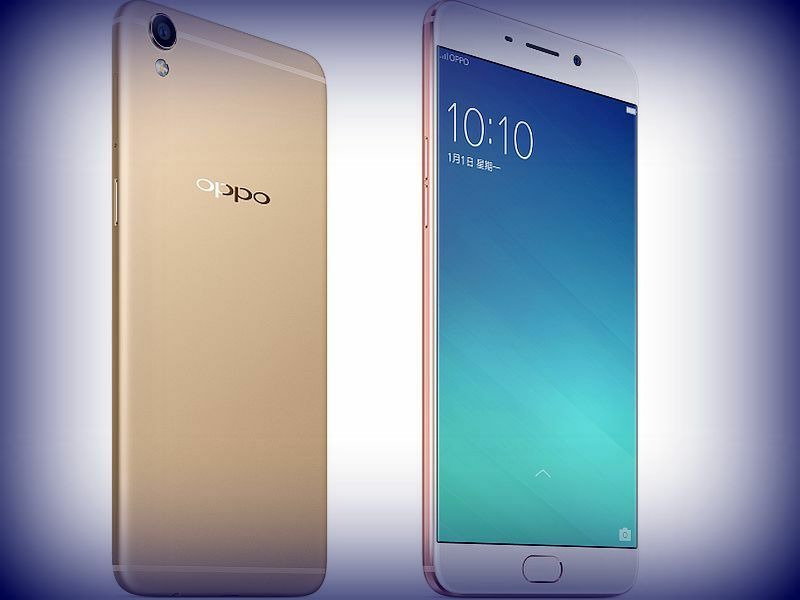 Oppo R9 Plus display screen size is 6 inches and the resolution of it is 1080 x 1920 pixels. Pixel density is 367 ppi. Body dimensions are 163.1 x 80.7 x 7.4 mm and it weighs 185 grams. It is powered by octa core Qualcomm Snapdragon 652 processor whose clock speed is 1.87 GHz. It is coupled with 4 GB RAM and it has 64 GB internal storage. Storage can be expanded up to 128 GB via micro SD. It comes equipped with 16 megapixel rear and front facing camera. The handset runs on Android 5.1 Lollipop operating system. Connectivity features include WiFi, GPS, Bluetooth and 4G. Other connectivity features include 3.5 mm headphones and dual SIM. It has proximity, accelerometer, ambient light and gyroscope sensors. Battery under the hood is 4120 mAh. The highlights of R9 and R9 Plus smartphones are the cameras and features such as phase detection autofocus. Both features fingerprint scanners. This entry was posted in Launches, Tech on March 29, 2016 by Rakesh.